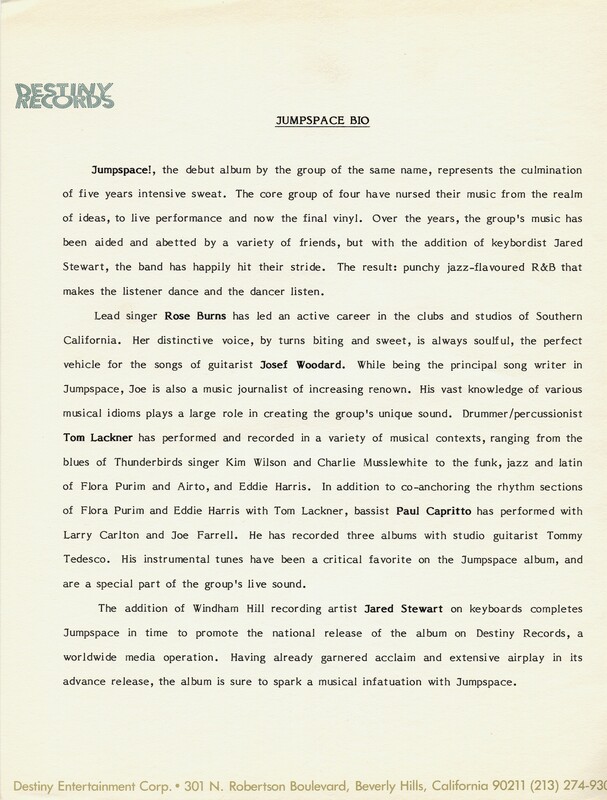 Jumpspace was a "blue-eyed soul" band based in Santa Barbara in the early 1980s, featuring Rose Burns as vocalist, Joe Woodard as guitarist and songwriter, drummer Tom Lackner, bassist Paul Capritto, and other musicians, including: Ken Stange and Dom Camardella, keyboards, Dave Tolegian, sax and flute, and others. 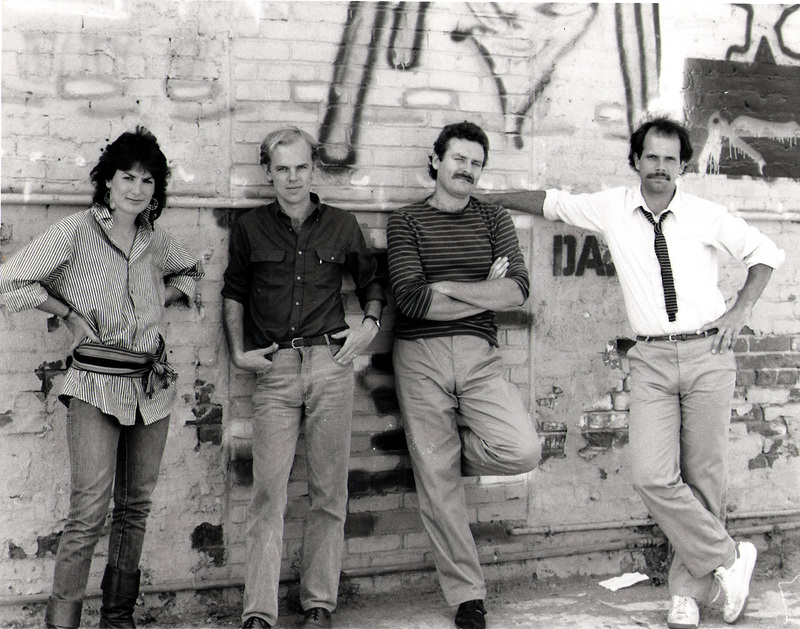 the band recorded its debut (and thus far only) album at Chaton Studios in Scottsdale, Arizona (where Lyle Lovett was soon to record his early work), and Santa Barbara Sound, with the gifted Terry Nelson as engineer and general spiritual/sonic advisor. 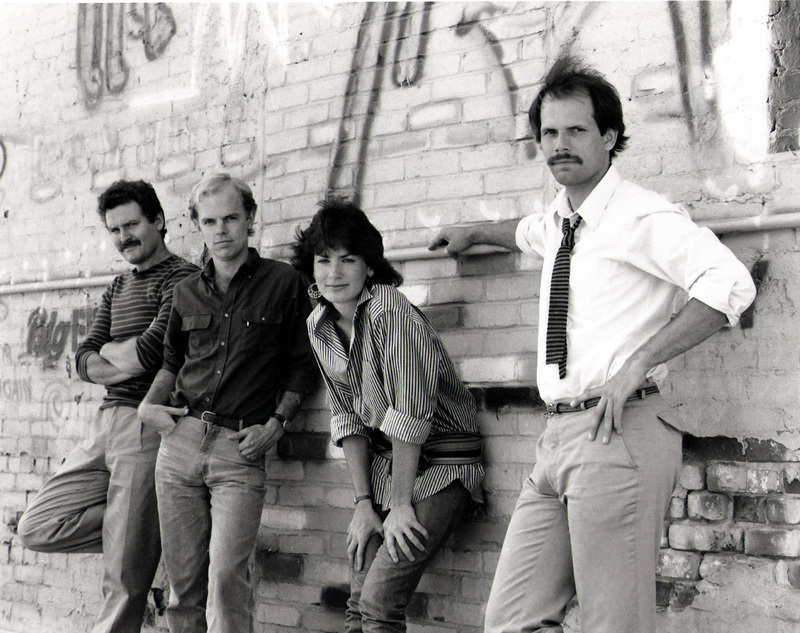 The album was released on Destiny Records in 1983, and is enjoying something of a resurgence of late. 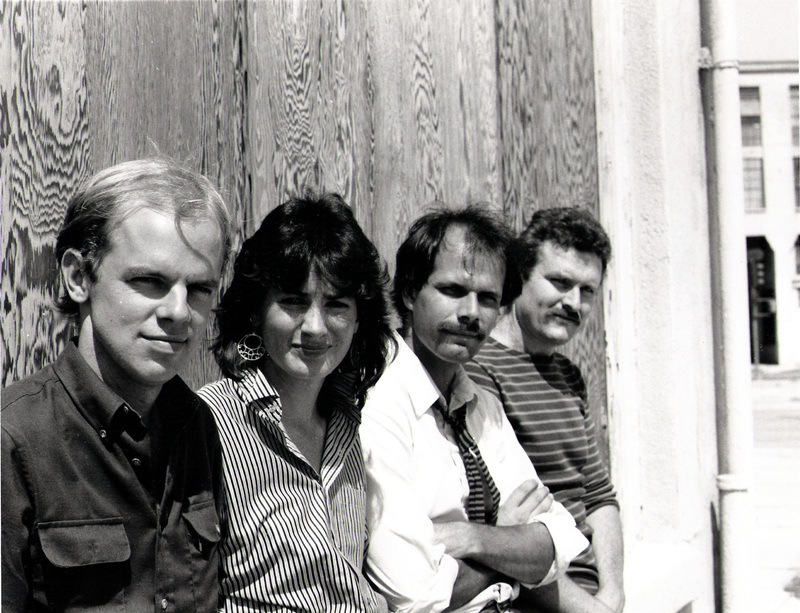 Other guests on the album: keyboardist Jim Studer, guitarist Larry Nass, vocalist Craig Thomas, trumpeter Jeff Elliott, vocalist Michael Brady. 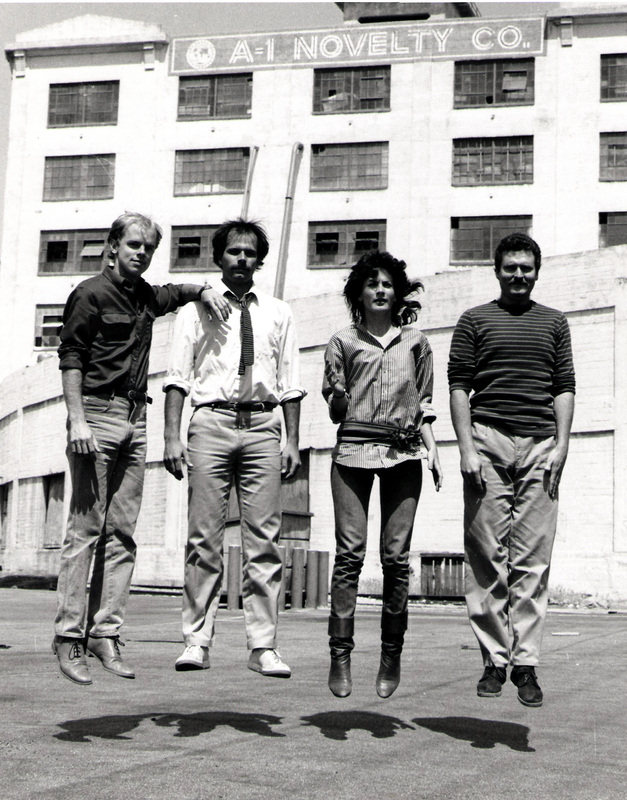 The band's pre-record, formative stage benefitted from the role of keyboardist (and now Sound Design studio head) Dom Camardella. 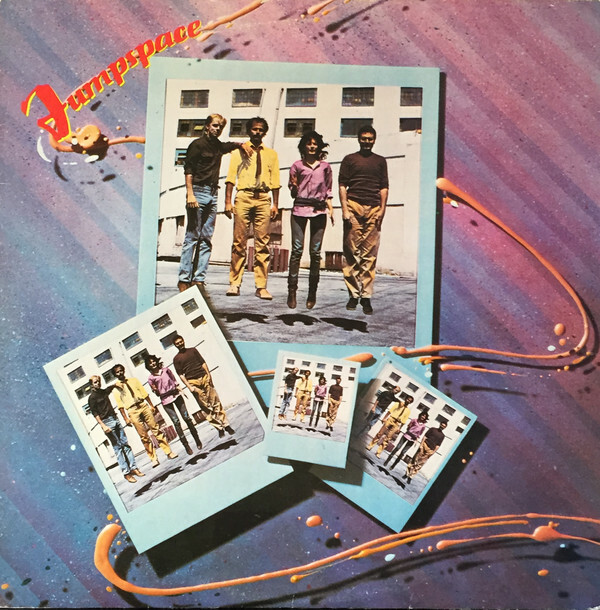 The Jumpspace album was released on Destiny Records in 1983, and is enjoying a resurgence of interest in the 21st century.